Studies indicate that the newer STOPP criteria provide more effective methods to identify potentially inappropriate medications in elders. Medication errors are common among older patients with multiple comorbidities for which they are inevitably prescribed many drugs by the specialists overseeing their care. For two decades, the traditional Beers criteria provided a list of drugs contraindicated in older adults. But the list has fallen under scrutiny and criticism. 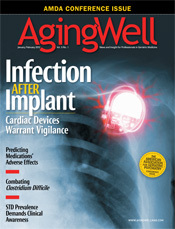 “The average elderly patient has 40% of his medications adjusted by the time he leaves the hospital,” says Jeffrey L. Schnipper, MD, MPH, FHM, director of clinical research in the BWH Hospitalist Service, an associate physician in the division of general medicine at Brigham and Women’s Hospital in Boston, and an assistant professor of medicine at Harvard Medical School. Medication errors are the fifth leading cause of death in the United States.1 The adjustment of patients’ drug regimens while they are hospitalized presents problems because patients may not fully understand why they are taking new drugs or why an old drug has been discontinued, which can be very confusing for patients and lead to issues with adherence. And indications for the initiation of new drugs during hospital admissions may not be clear. Such discrepancies between the medications patients are prescribed before and after hospital admissions may pose significant threats to their health that may exacerbate risks such as falls. Because these errors are preventable, screening tools to prevent inappropriate prescribing (IP), such as the Beers criteria, were developed. But the Beers criteria have been criticized for listing outdated drugs and failing to identify common instances of IP in elders, among other issues.2 Consequently, the STOPP (Screening Tool of Older Person’s Prescriptions) criteria were developed and validated to flag IP in older adults. The third important motivating factor was the need to structure a new set of criteria along the lines of drug formularies (ie, cardiovascular, neurological, respiratory). The fourth component was to include sets of criteria that are particularly important to certain groups of older patients. Principally, such groups encompass older patients with a history of falls and those with a history of chronic pain who need to take opioid analgesics, O’Mahony says. “The fifth thing that we didn’t see in Beers criteria was to flag up a warning about duplicate prescription. It’s not uncommon in my practice to see patients on two ACE [angiotensin-converting enzyme] inhibitors or two proton pump inhibitors [PPIs], two calcium-channel blockers, or two opiates. So those would have been the five core motivating factors for me and my research group here to formulate a new set of criteria,” he says. Julie Testman, PharmD, BCPS, CGP an assistant professor in the department of pharmacy practice at the University of Charleston School of Pharmacy, says the Beers criteria include a lot of medications that really aren’t used anymore. Testman says that propoxyphene, which is included on the Beers list, was recently removed from the market due to potentially serious heart rhythm abnormalities. Flurazepam, a benzodiazepine hypnotic, has an extremely long half-life in elders—often days—producing prolonged sedation and increasing the risk of falls and fracture. Shorter-acting benzodiazepines are available and preferred in situations that warrant drug therapy from an agent within this class (eg, lorazepam, oxazepam, temazepam). Chlorpropamide also has a prolonged half-life in elders and could cause prolonged hypoglycemia, and it’s the only oral hypoglycemic agent that causes a syndrome of inappropriate antidiuretic hormone secretion (SIADH). Glipizide, glyburide, glimepiride, or second-generation sulfonylureas are available and therefore preferred if an oral hypoglycemic agent from this class is required, she says. Testman notes, however, that certain drugs on the Beers list are also controversial because they sometimes are appropriate in older patients in specific circumstances (eg, amitriptyline, amiodarone, naproxen). Prescribing in older adults is complex, and a general statement cannot be made about drugs. This is an inherent limitation of explicit criteria (Beers and STOPP) in their ability to consider patient-specific factors that might influence drug therapy selection. “STOPP includes some of these but provides more guidance. For example, it suggests avoiding tricyclics for patients with glaucoma, cardiac conduction problems, dementia, constipation, or benign prostatic hyperplasia; however, a tricyclic antidepressant [TCA] may be considered and not cost prohibitive in patients with neuropathic pain. If a TCA is used in this situation, nortriptyline may be chosen over amitriptyline due to the decreased incidence of anticholinergic effects,” Testman says. Nicole J. Brandt, PharmD, CGP, BCPP, FASCP, an associate professor in geriatric pharmacotherapy at the University of Maryland School of Pharmacy in Baltimore and the director of clinical and educational programs of the Peter Lamy Center on Drug Therapy and Aging, says the Beers criteria haven’t been updated in 10 years. So the STOPP criteria cover more relevant medications and also expand on the interaction with medications and certain medical conditions. “I think that it adds to the growing number of either quality measures or criteria that exist to help identify potentially inappropriate med use in older adults and hopefully make us be proactive to minimize these medications if possible,” Brandt says. “We’re very mindful to emphasize and underline the words potentially inappropriate medicines [PIMs] because we’re not trying to say that they are absolutely contraindicated in every case but simply to flag up warning signals for prescribers and attending doctors that this particular medicine in a patient with a particular condition could be detrimental,” says O’Mahony. STOPP criterion number A12 lists aspirin prescribed at doses in excess of 150 mg once daily. This would relate to a case where there is an indication for low-dose aspirin as an antithrombotic but the evidence shows there are no proven additional significant benefits from prescribing aspiring at doses in excess of 150 mg daily, O’Mahony says. “Older people who acquire major polypharmacy—in other words, more than 10 daily prescription meds—are very prone then to adverse drug reactions associated with inappropriate medications. And a lot of that relates to older people being attended to by a variety of physicians, so each doctor will attend to his or her particular system, prescribe whatever meds he or she feels are appropriate, and move on, very often without considering the blend and getting the blend right. That is a problem,” he says. Data also show that PPIs are commonly prescribed as a treatment for clinical problems other than those for which they are approved, such as stress ulcer prophylaxis or for the long-term treatment of gastroesophageal reflux disease when there is no indication to do so.5,6 PPIs are another inappropriately used medication picked up by the STOPP criteria. Patients are put on a PPI for stress ulcer prophylaxis postoperatively while they’re in the hospital, and it isn’t discontinued when they are discharged, Brandt says. Medication therapy management review, which is under Medicare Part D, is a program in which Medicare pays for pharmacists to conduct medication reviews on patients living at home or in an institutionalized setting. These reviews focus on ensuring that medications are used appropriately, but appropriate medication use could focus on the time of day to take medicines, or it could identify the quantity a patient should take. So there are many potential medication-related problems besides just what’s identified on the STOPP criteria, Brandt says. “I think we’re all sensitive to the fact of rehospitalization so I think certain healthcare systems are concerned about being at risk, and we know that oftentimes patients are rehospitalized because of discrepancies in medicines that they’re using. As we move toward the centralization of information, a good way to potentially operationalize the STOPP criteria could be through the pharmacy claims databases,” Brandt suggests. O’Mahony notes that he and his colleagues have embarked on a randomized trial of older patients being admitted to the hospital. The study involves the routine application of the STOPP/START (Screening Tool to Alert Doctors to Right Treatment) criteria as an intervention vs. standard care. However, the older patients in this study are not coming under the care of physicians in geriatric medicine. “The reason that we’ve deliberately avoided recruiting patients under the care of geriatricians is, of course, that geriatricians are probably more likely to get the blend of medications right and in many ways, their practice would embody, we hope, the STOPP/START rules so that there are prime rules of good prescribing as part of their specialist practice. So we deliberately decided to recruit patients seen by specialists in areas other than geriatric medicine,” O’Mahony says. Schnipper says, “I’m not one of those people who thinks like there’s a Western conspiracy that gets us to be a pill culture. But I do think, in general, older folks are prescribed too many medications. And older folks accumulate chronic diseases as they get older. Those chronic diseases often have medications that might help them. But you know that’s sort of viewing it one medication at a time. “You reach a point where a patient is on 15 medications, and you just know that there are drug-drug interactions happening and that patients aren’t taking them all correctly—it’s a given. And so someone needs to have a holistic look, and say, ‘OK, we need to make this medication regimen shorter. Let’s think about which ones are the most important in this patient for improving their quality of life and their quantity of life,’” he adds. “Even if there’s an indication for a medication, it doesn’t necessarily mean patients need to be on it. And somewhere around 10 medications or so, you’re starting to get into the realm of knowing they are just taking too many medications, and we need to be more judicious about it,” Schnipper says. “While presenting some of my work at the European Union Geriatric Medicine Society symposium on improving medication appropriateness, my American counterpart [Zachary A. Marcum, PharmD, MS, BCPS, an assistant professor in the division of geriatric medicine at the University of Pittsburgh], in his presentation, referred to the forthcoming 2012 version of Beers criteria, so we look forward very much to seeing that,” O’Mahony says. He adds that his group also intends to finalize and publish version two of STOPP/START in 2012. “We became painfully aware that the evidence base of prescribing is evolving quite rapidly, and new rules and new criteria are appearing all the time. So we made a conscious decision, in fact three years ago, that we would meet and update the criteria at least every four years because of new evidence and new rules and new information appearing in the medical literature. So that is our driving force—to keep pace with the published evidence base,” he says. • Loop diuretics for dependent ankle edema in which there are no clinical signs of heart failure: There is no evidence to support the efficacy of loop diuretics being used in this manner; compressive stockings are more appropriate in this clinical situation. • Thiazide diuretics in patients with a history of gout: These drugs may potentially worsen gout. • Prolonged used of neuroleptics as long-term hypnotics for longer than one month: This increases the risk of confusion, hypotension, extrapyramidal side effects, and falls in older adults. • The use of nonsteroidal anti-inﬂammatory drugs in patients with moderate to severe hypertension: This drug class may worsen older patients’ preexisting hypertension. • Prescribing alpha-blockers in males with increased frequency in urinary incontinence: In men with one or more instances of urinary incontinence daily, symptoms may worsen. • Reevaluate patients’ medications to capture and prevent medication errors and unnecessary rehospitalizations. • Avoid prescribing medications without a clear indication for use (eg, aspirin dose greater than 150 mg, which evidence shows has no additional therapeutic effects). • Be cognizant that patients may be unable to keep up with the changes in their medications. Utilize resources such as medication therapy management review or similar programs to ensure that the battery of medications are helping and not hurting patients. • Watch for the newer versions of Beers and STOPP, which are both expected to debut in 2012. 1. Murphy JG, Dunn W. Transparency in health care. Chest. 2008;133(1):9-10. 2. O’Mahony D, Gallagher PF. Inappropriate prescribing in the older population: need for new criteria. Age Ageing. 2008;37(2):138-141. 3. Gallagher P, Ryan C, Byrne S, Kennedy J, O’Mahony D. STOPP (screening tool of older person’s prescriptions) and START (screening tool to alert doctors to right treatment). Consensus validation. Int J Clin Pharmacol Ther. 2008;46(2):72-83. 4. O’Mahony D, Gallagher P, Ryan C, et al. STOPP & START criteria: a new approach to detecting potentially inappropriate prescribing in old age. Euro Geriatr Med. 2010;1(1):45-51. 5. Hussain S, Stefan M, Visintainer P, Rothberg M. Why do physicians prescribe stress ulcer prophylaxis to general medicine patients? South Med J. 2010;103(11):1103-1110. 6. Raghunath AS, O’Morain C, McLoughlin RC. Review article: the long‐term use of proton‐pump inhibitors. Aliment Pharmacol Ther. 2005;22:55-63.